Spectacular corporate event entertainment and world class fire shows by former Cirque du Soleil artist Dan Miethke and lead choreographer and firedancer Stephanie Hoeggerl. Offering high-energy and cutting edge circus acts combining daring skills, stunning choreography and unique special effects to provide the ultimate in event entertainment. These shows are created with ‘X-Factor’ in mind to impress an audience that’s seen it all. 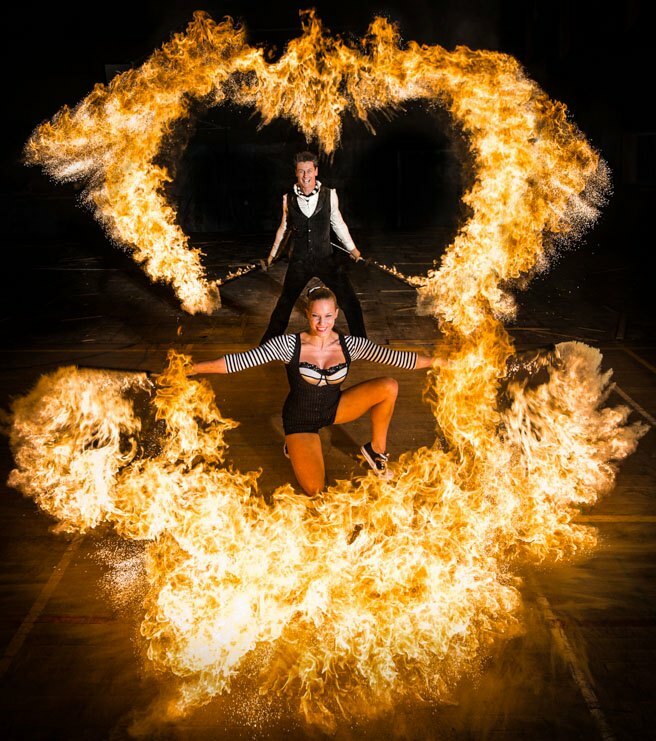 Spark Fire Dance have worked closely with production companies from all corners of the world to integrate our striking acts into spectacular show concepts. 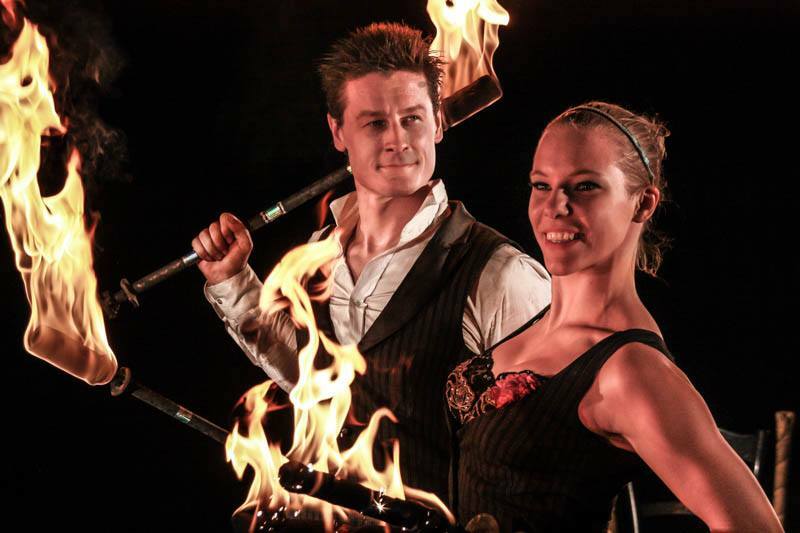 Dan, originally from Australia, spent 2 years as fire coach and lead fire artist with Cirque du Soleil on the stage of Zaia training and choreographing acrobats, fire jugglers, dancers and circus artists into the largest fire act Cirque has produced to date. Stephanie Höggerl from Vienna Austria, has been performing with fire, pyrotechnics, acrobatics and the aerial arts since the age of 16. Steffi and Dan met in Shanghai and since 2008 have been combining skills and styles to create unique, high energy and theatrical fire acts. 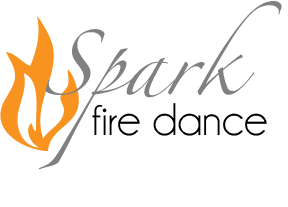 Now based in Bristol UK, Spark Fire Dance have performed throughout the Middle East, Asia, Africa, Europe and North America. From VIP dinners to bespoke productions, TV appearances, product launches and luxury wedding events. Email us for more information on aerial acts, Mirror Dancers, roving acrobatics or any other circus act. We have a network of fellow high calibre artists and would love to help. Bespoke production enquiries are welcome. Our artists can deliver tailor made fire, aerial or ground pieces based on your thematic concepts to bring the very best to your events entertainment.